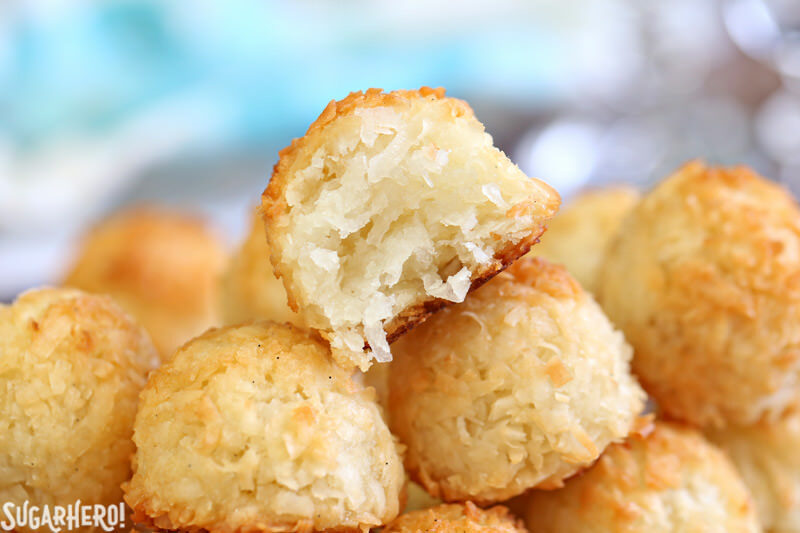 Coconut Macaroons are a wonderfully easy gluten-free treat! 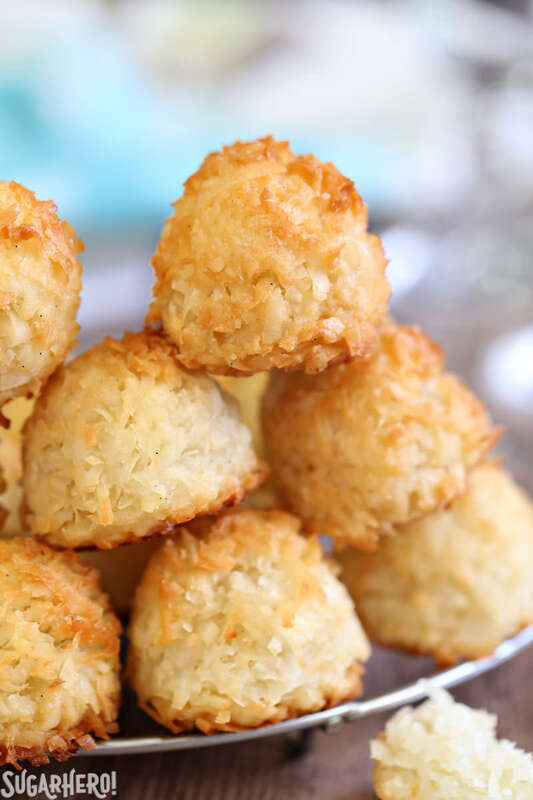 You need just a handful of common pantry ingredients to make these coconut cookies that are crispy on the outside, and soft and tender on the inside. 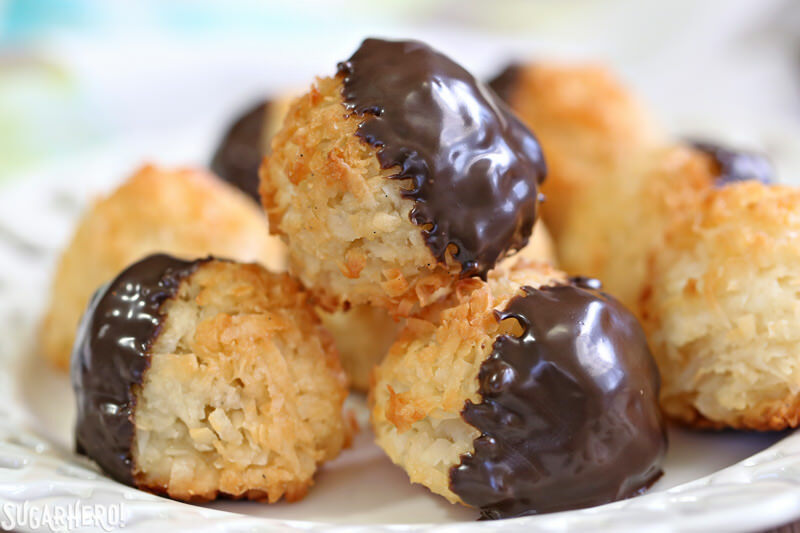 I’ll be the first to admit that I’m late to the game with these coconut macaroons. I had the best of intentions of posting them 2 weeks ago, before Passover started, and then life started life-ing, and somewhere in between hosting a rainy, muddy egg hunt, celebrating my son’s birthday, and trying to surreptitiously disable the robotic puppy we gave him (what were we thiiiiiinking), the opportunity just slipped away from me. 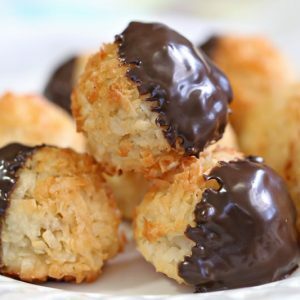 Now obviously, there are more than a few coconut macaroon recipes in the world already. 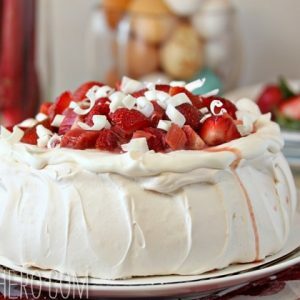 In fact, this very recipe has been kicking around my archives for years now, complete with really terrible blurry pictures because apparently I didn’t know about fancy photography tricks like “focusing” 6 years ago. But I wanted to re-photograph them and share them again, because this is by far my FAVORITE macaroon recipe I’ve made. There are different methods for making macaroons, and I’ve tried them all. There are variations with sweetened condensed milk, or where you just stir everything together before baking, but to get the taste and texture that I personally love, I find it necessary to cook everything together on the stove top before shaping and baking them. It’s a small change, but it gives the cookies my ideal texture: crunchy and golden brown on the outside, but still really moist and soft on the inside. Should we talk about our macaroon pet peeves? I’ll go first, because the list is long! 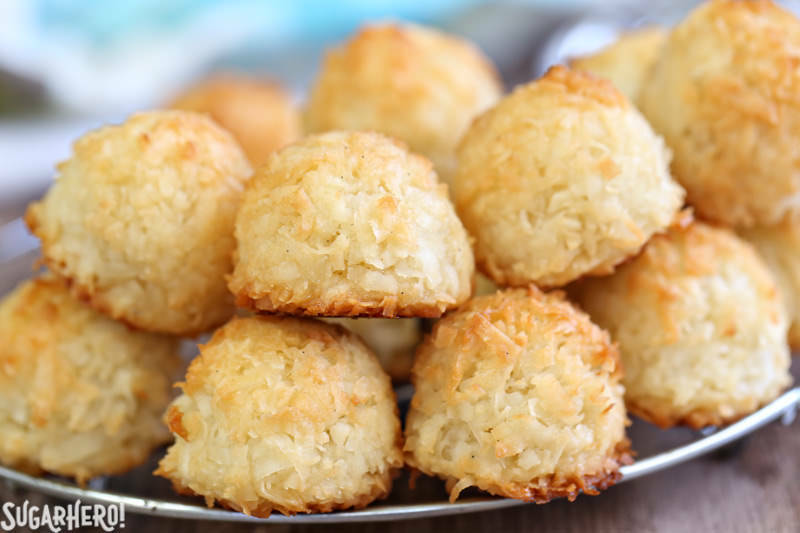 It includes: macaroons that are unevenly cooked on the outside, or are still pale white, or have burned bits of coconut sticking out of the top. Or how about when a macaroon LOOKS delicious, but you bite into it and it’s unbearably dry, or so sweet it seems gritty in your mouth? For such a simple cookie, it’s surprising how many ways it can go wrong. These cookies avoid all those pitfalls. They bake to a gorgeous, even golden brown, and have the best combination of crispy outside and soft, tender insides. 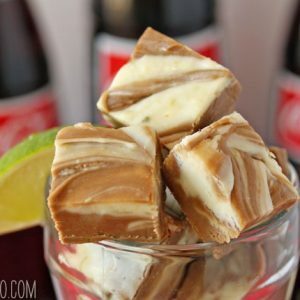 They’re sweet, to be sure, but if you add a big pinch of salt and don’t make them too large, they’re just right to satisfy that mid-afternoon sugar craving. These cookies are so simple, so unpretentious, and so downright delicious, they deserve a place in your recipe box. Enjoy! 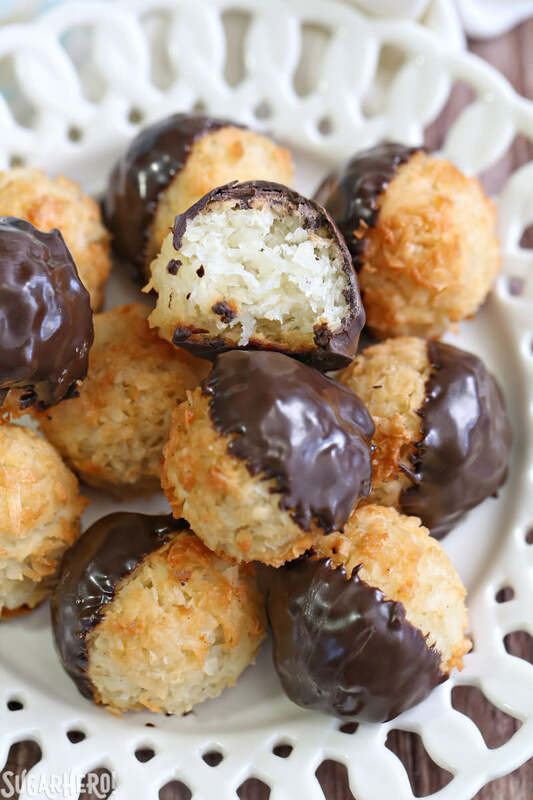 Coconut Macaroons are a delicious gluten-free treat! 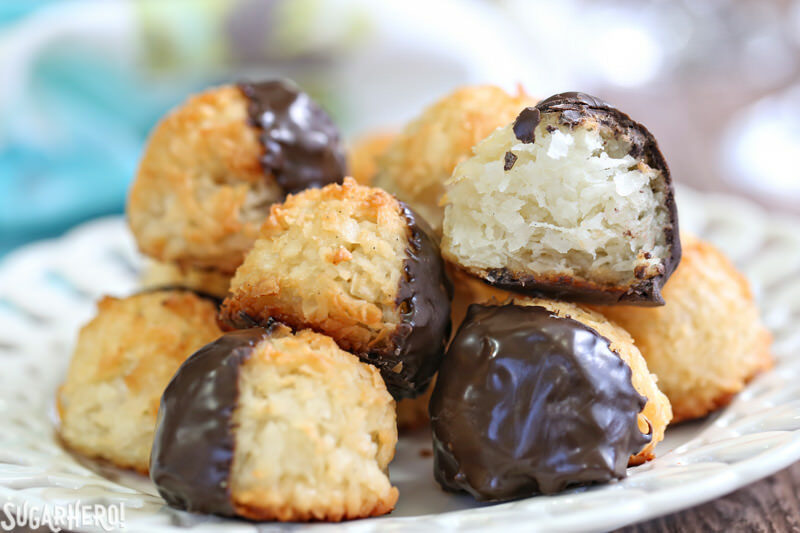 You'll love these bakery-style coconut cookies that are crispy on the outside, soft and tender on the inside, and dunked in a coating of chocolate. Mix first the coconut, sugar, and eg whites together in a heavy, large saucepan. Cook them over medium heat, stirring constantly, until the sugar dissolves and the mixture thickens and appears somewhat pasty, about 10 minutes. Remove the pan from the heat. The speed down the cooling process, spread out the coconut mixture on a large baking sheet. Refrigerate until cold, about 30-45 minutes. Preheat the oven to 330°F. 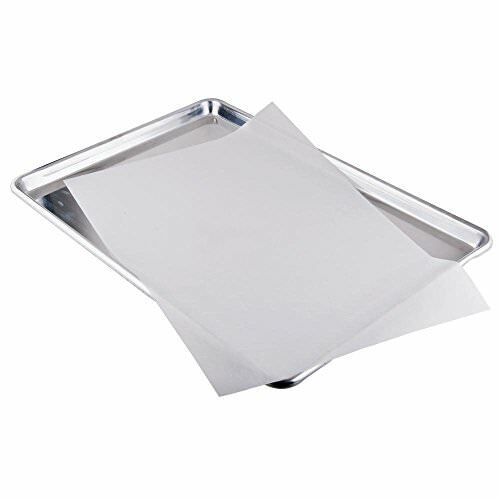 Line another baking sheet with parchment. 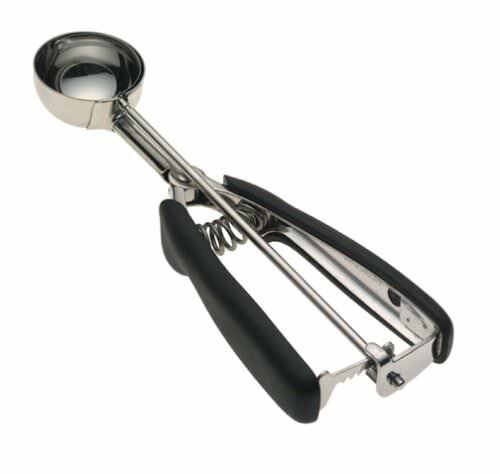 Use a cookie scoop to scoop up generous tablespoonfuls of coconut mixture. Dampen your hands and gently roll the ball between your hands to make it round. Place the cookie on the baking sheet, and repeat with remaining coconut mixture. Bake for 25-30 minutes the cookies until they're golden brown, rotating the tray halfway through so they bake evenly. Cool them completely. 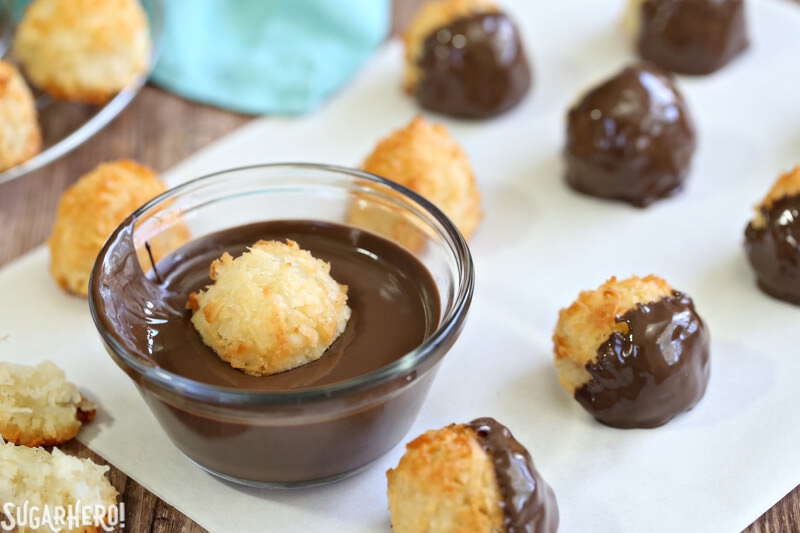 If you want to add the optional chocolate coating, melt the chips in the microwave. 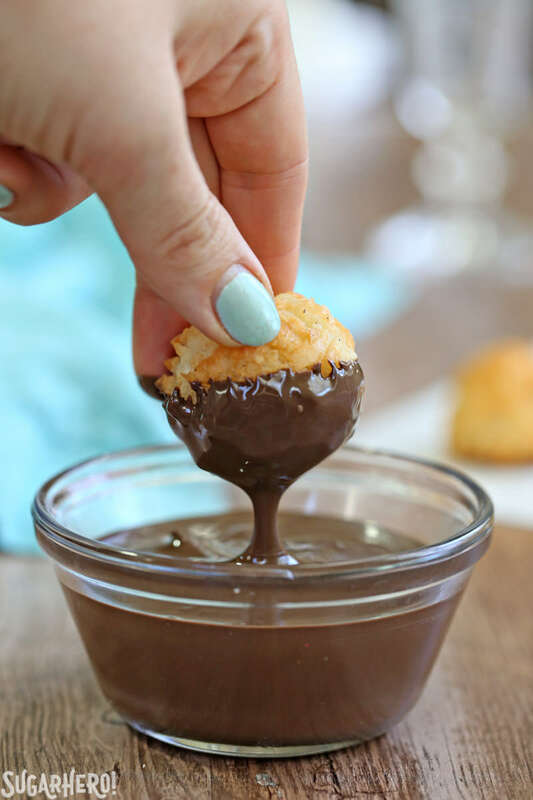 Dip the macaroons in the chocolate: either dip the bottoms, dip them halfway, or use forks or dipping tools to dunk them completely. Refrigerate the tray to set the chocolate, for about 15 minutes. First of all, you crack me up. Second—YUM! Those look so good. I love macaroons and those look da bomb! Hey, these are perfect for Passover (which starts tonight). Great timing! 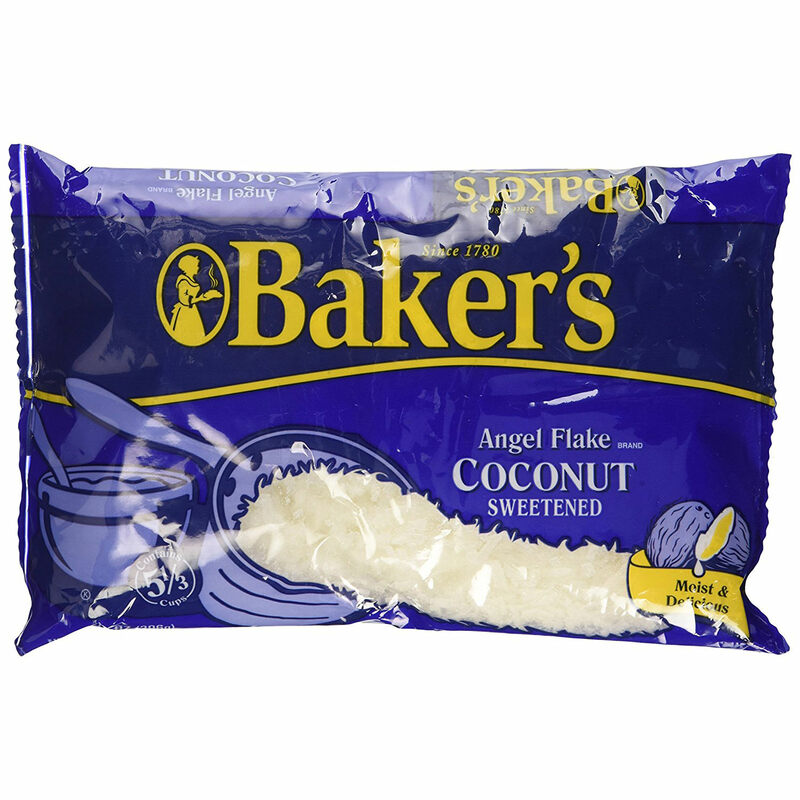 I just used a similar mixture for a Donna Hay recipe where you press this mixture into tart pans or muffin cups to make a crust and then fill the coconut macaroon crust with ganache or lemon curd. Delicious, but a bit of a pain to make. So, is the cooking in your recipe to dissolve the sugar? For the crusts (more or less the same formula), I just mixed it up and baked it.Ihave seen other macaroon recipes that call for this cooking and others that don't and I wonder what the difference is for the final product. Pragmaticattic: Thanks for the Passover reminder! I'd totally forgotten that connection, but they ARE a great Passover sweet. And the Donna Hay recipe sounds delish–I love coconut and citrus together. The cooking is actually to cook the egg whites a bit. During the cooking the mixture foams up, and toward the end it gets thicker. I think it helps coat the coconut with the egg/sugar mixture and give the cookies a better texture. Oh my gosh, these look so good. And so easy, which is dangerous! Ahh macaroons! Something that a coconut lover like me should have tried by now!! Bookmarked! How did you manage the acrobatics, how did they stay? I love your comment about photography 6 years ago- oh the struggles of learning how to focus a camera. Isn’t it crazy how far technology has come over time? Anywho, back to the point, these macaroons look so yummy! I’d much rather make these than buy them. Thanks for the great recipe! The INGREDIENTS say 1 3/4 tsp vanilla extract, while the INSTRUCTIONS say 1 1/2 tsp vanilla extract. Which one is it?